Since 1988, we’ve always made optimal health and wellness the primary focus of our chiropractic care center. 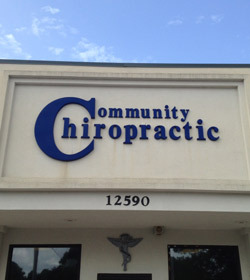 Community Chiropractic is passionate about providing Baton Rouge and surrounding communities with drug-free options for the elimination of pain and the development of true wellness. Our goal is to help family members of every age enjoy a better quality of life. We accomplish this through dedicated chiropractic service that includes hands-on treatment and instrument adjusting—care that brings consistently positive results for those we serve. We know that it’s not fun to be suffering from pain. When you walk through our door, our goal is always to get you feeling better as quickly as possible. Dr. Harrie Wolverton has the expertise and experience to know what works; sometimes that may include various modalities and therapies that serve as a complement to a skillful chiropractic adjustment. However, to achieve real help and healing, we’re acutely aware that the adjustment itself is the primary event. When delivered in a precise and specific manner, it makes all the difference in the world in achieving optimum function and wellness. It’s important to understand that pain itself is not an accurate barometer of health. Pain is only an indication that the body isn’t adapting well to the environment, baring trauma of course. We can improve the relationship between the vertebrae in your spine and your extremities through a chiropractic adjustment which serves to reduce nerve interference and allow a more free nerve expression. That means the body will begin to feel better and function better. Without drugs. Without surgery. Your body is a self regulating, self healing mechanism. We specialize in reducing and eliminating hurtles and road blocks toward that end. Along with modifications in activities of daily living, lifestyle habits, chiropractic care can help you turn your life around. We also offer our patients a unique opportunity to maintain their health and vitality through our special Wellness Club. Ask us about it! In the meantime, we invite you to contact us today for a convenient appointment.